Salvador, a Mexican street vendor, pushed a stroller filled with tamales, burritos, and fish three miles into town each day to earn enough money to sustain his family. A simple bicycle cart could transform his business, but with limited means, that tool was beyond his reach. That changed in late February, when students, faculty, and staff from the University of La Verne’s Enactus program crossed the border into Mexico to help the vendor with tools and tactics to improve sales. They bought him cooking equipment and supplies. And, of course, a bicycle cart. 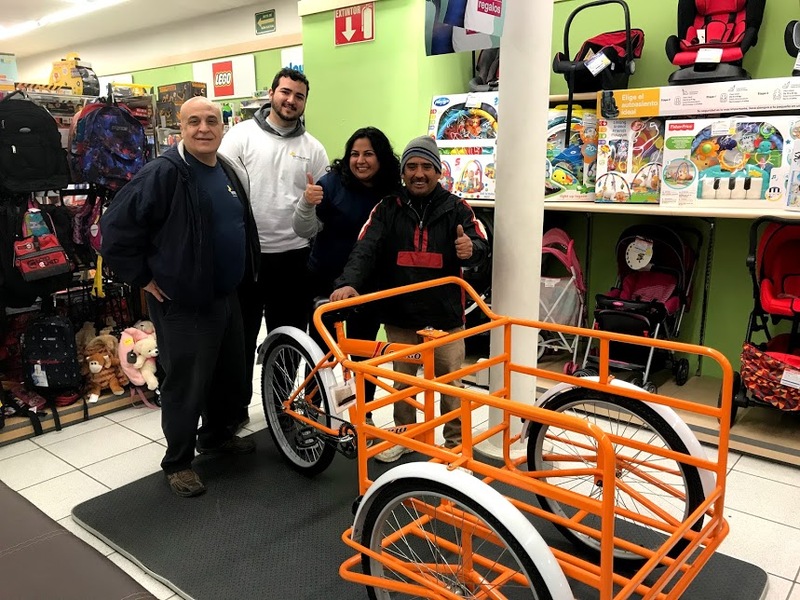 “With our help, he will be able to travel 13 miles to Rosarito, a major tourist city nearby, and increase his sales by nearly 200 percent because of the time and energy he will be saving,” said Dr. Issam Ghazzawi, professor of management and Enactus adviser. Enactus is an international nonprofit organization dedicated to inspiring students to change the world through entrepreneurial action. Students in the University of La Verne chapter apply the business knowledge they learn in the classroom to address real-world problems. During this year’s trip to Puerto Nuevo in Baja California, junior business administration major Jessika Chani gave Salvador tips on how to grow his business, including estimating how much food he would sell each day to determine how much he should spend on raw food. Chani’s work with the vendor helped him refine his business model, and helped her see the practical application of classroom theories on supply and demand and business forecasting. Chani also saw how the relatively small changes to Salvador’s business could have a long-lasting effect on his family and his community. Salvador is a father of nine children, including a teenage son who had to drop out of school to help the family make ends meet. “Hopefully with a more sustainable business and more income, he will be able to go to school again,” Chani said. This is the second year Enactus students traveled to Mexico to help vendors expand their businesses. Last year, the group helped a widowed mother of two start a catering business that serves construction workers near her home. Students have also led projects closer to home, including planting vegetable gardens at elementary schools to educate children about healthy eating, collecting business clothing to help recent college graduates in the Philippines and high school students in Pomona get jobs, and removing used fishing line from the Orange County coast to convert into fishing nets for fishermen. Photo: From left, Dr. Issam Ghazzawi, students Omar Nassri and Jessika Chani, and street vendor, Salvador. The California Hispanic Chambers of Commerce Foundation selected three students from the university to join the 2019 cohort.